Full range speakers are the easiest way to enlarge your existing system or set a new one. Provides a set of elements perfectly selected and mounted to achieve the right sound balance. These systems can be structured by different number of ways and consist of integrated PEI Mylar dome tweeter and poly injection mid-range and bass. We care not only about complying with these requirements, all our Wave line also focuses on design and presentation. View More In Component Speakers. 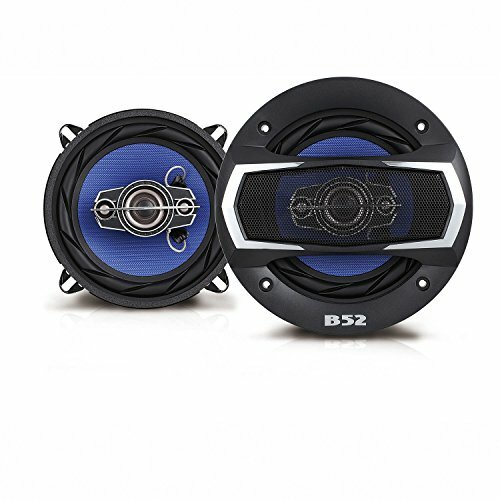 If you have any questions about this product by B52CarAudio, contact us by completing and submitting the form below. If you are looking for a specif part number, please include it with your message. Pioneer TS-165P + TS-695P Two Pairs 200W 6.5" + 230W 6x9" Car Audio 4 Ohm Component Speakers + Cerwin-Vega XED1T 500W MAX 1 Inch XED Series Tweeter.